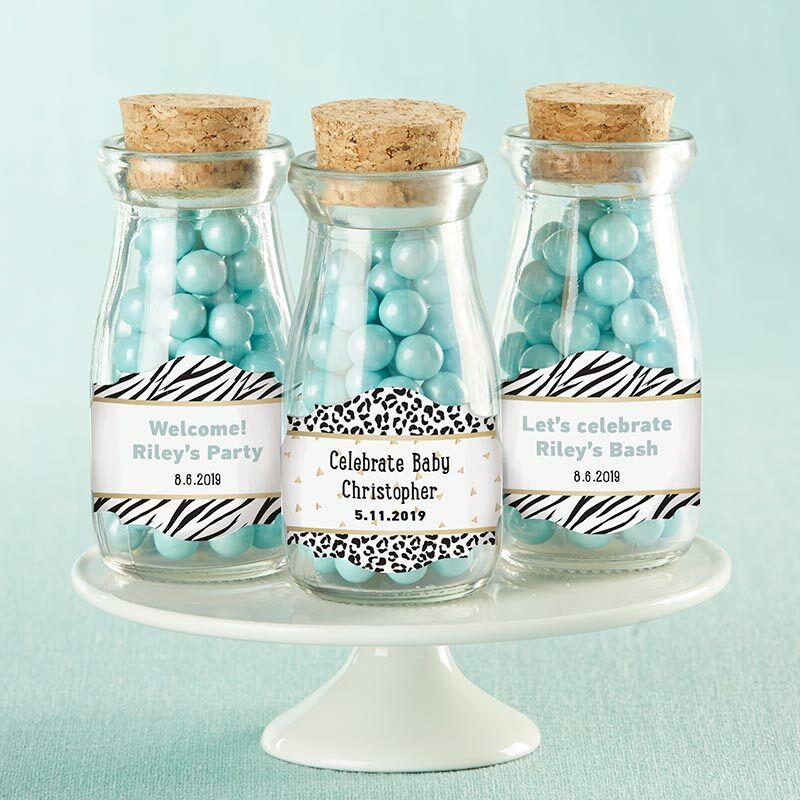 Expectant parents are getting ready for the adventure of a lifetime, and what better way to celebrate than with a safari-themed baby shower? 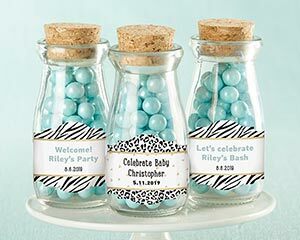 Kate Aspen's Personalized Milk Jars are the perfect versatile complement to your safari décor. 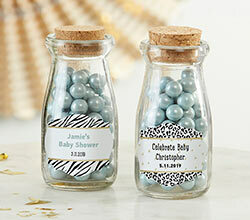 Available with two black-and-white animal print sticker styles accented with gold foil details and including up to three lines of personalized text, these milk jar containers add a modern, yet timeless component to your baby shower style. 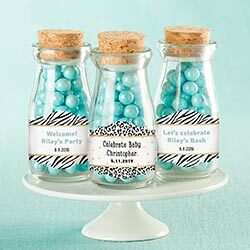 Whether being used to serve a as a container for favors or to add a pop of color with confetti or small floral arrangements, guests are sure to go wild for these favors.